Experience the best of the best in the complete tour of Toronto. Experience first-hand some of Toronto's must-see attractions and learn about the history behind these places and surrounding neighborhoods. Once this tour is completed, you will walk away with wonderful memories and a head full of amazing facts and tidbits about Toronto history. Your adventure in Toronto starts with a quick trip up to the observation deck at the CN Tower, one of the world's most popular tourist spots. On the observation deck, you will have the opportunity to walk out and stand 1,151 feet above the ground. Being so high up will allow you to get amazing views of the surrounding city. Don't forget to bring your camera because there will be numerous opportunities to take amazing photos. After a trip to the CN Tower, your professional guide will take you to the mysterious, historic Casa Loma where you will have the adventure of a lifetime. At this Gothic castle, you will have the opportunity to tour the 5-acre gardens, explore secret tunnels, walk around the grounds and explore inside the castle suites and halls. It is like walking back in time. Another can't-miss moment of this tour includes the trip aboard the Toronto Harbour Cruise. Hop aboard your boat where you will be able to see breath-taking views of Toronto's skyline. 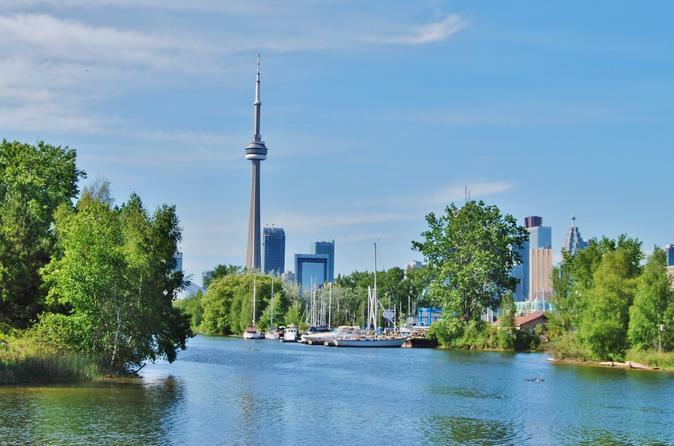 You will also get to see the busy, bustling waterfront and nearby Toronto Islands. Other highlights of the tour include narrated driving tour of Eaton Centre, Dundas Square, Queen’s Park and a short stop at the St. Lawrence Market (closed Sundays and Mondays). Ideal for first-time tourists to Toronto who are looking to experience it all or for veteran travelers to the area who want to experience something new.